The ruler of all vampires (she is the daughter of Vlad Tepes aka Dracula), Mina Tepes first met the protagonist Akira when he was a child. As a vampire, Mina never ages, and as such her body is usually that of a prepubescent girl (although this doesn't stop her from showing off her body at every chance that she gets). She appears at first very haughty and self-indulging, but is in truth very protective of her fellow vampires that she rules over. She will do almost anything to protect their future, even if it means risking her own life. 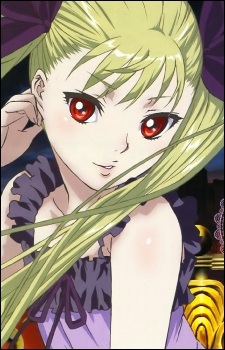 Despite her occasionally harsh treatment of Akira, she cares deeply for him and truly loves him in the best way that she can manage, considering her stature in the vampire world. Blood sucking, coffin dwelling, and deathly afraid of garlic? While the modern vampire formula has changed, the creatures remain just as scary. Come check out our list of the best 15 vampire anime of all time! Fiction is filled with the adventures of the super rich, from renegades like Zorro, geniuses like Tony Stark (a.k.a. Iron Man), and lonely rich kids like... Richy Rich. Anime is no exception to this rule and has loads of characters with money as a key defining characteristic.